Deftones font here refers to the font used in the logo of Deftones, which is an American alternative metal band formed in 1988 in Sacramento, California. Its current members include Chino Moreno, Stephen Carpenter, Abe Cunningham, Chia Cheng and Frank Delgado. 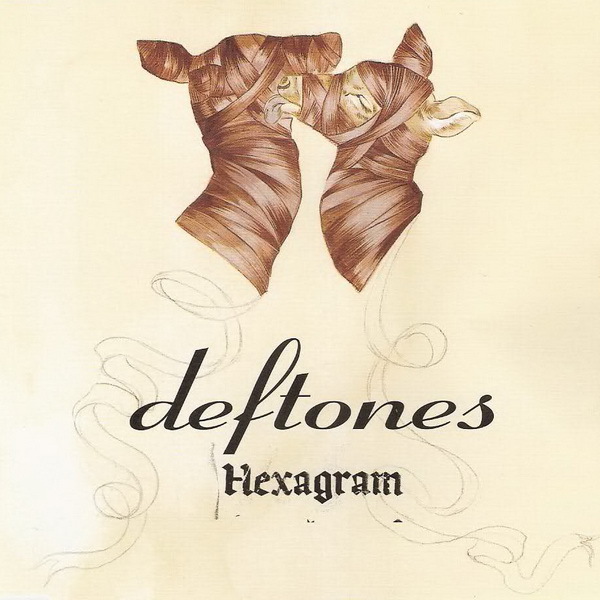 The font used in the logotype of Deftones, as seen on the cover artwork of their 2003 single Hexagram, is very similar to a font called Ribbon 131. The font is a commercial font and you can purchase and download the font here. The Ribbon 131 font identified above is not available for free, please follow the link above and purchase the font. Meanwhile, you can take a look at our collection of fonts for cars, pop music and apparel as well as round-ups of new & fresh fonts around the web. In addition to Deftones, Ribbon 131 typeface is also used in the following logos, movie posters or album covers etc., including: Chocolat.